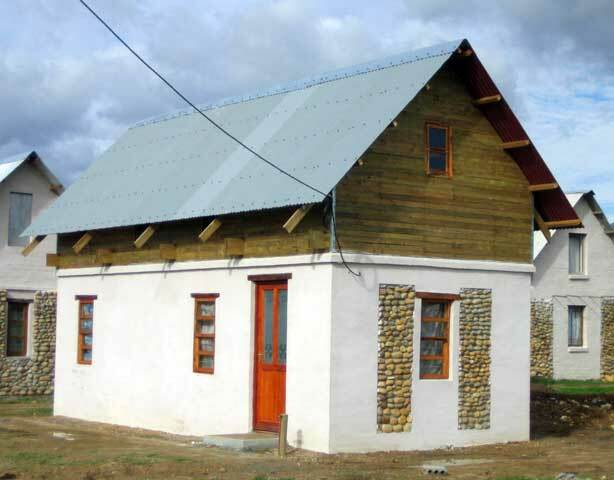 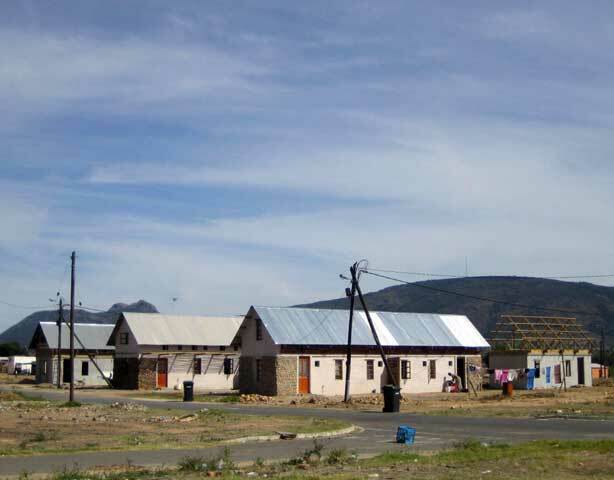 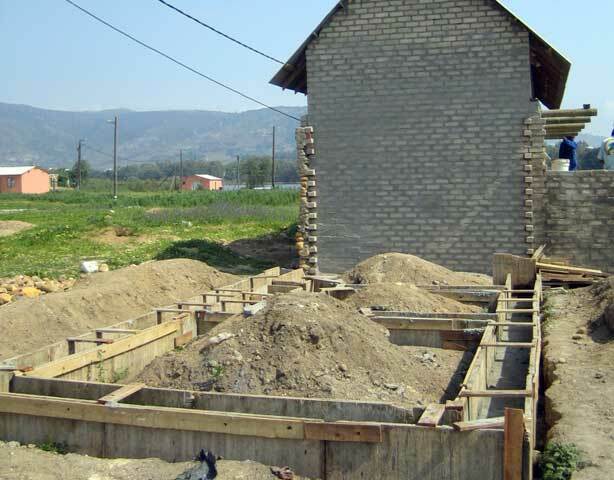 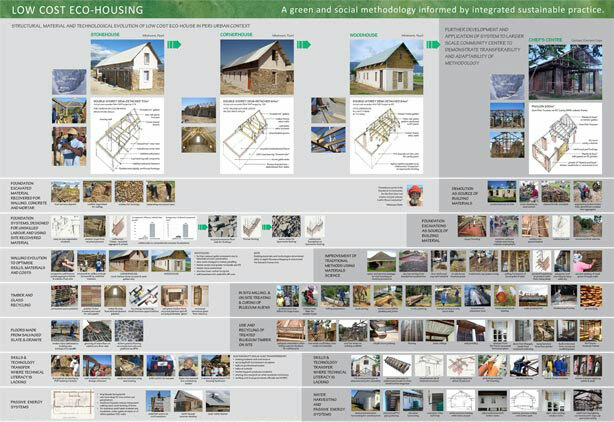 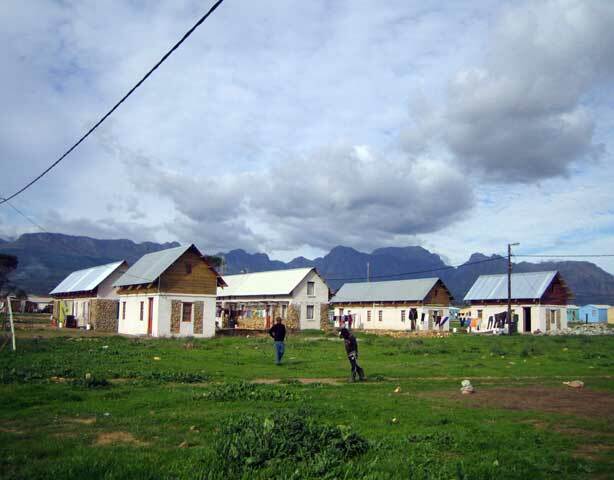 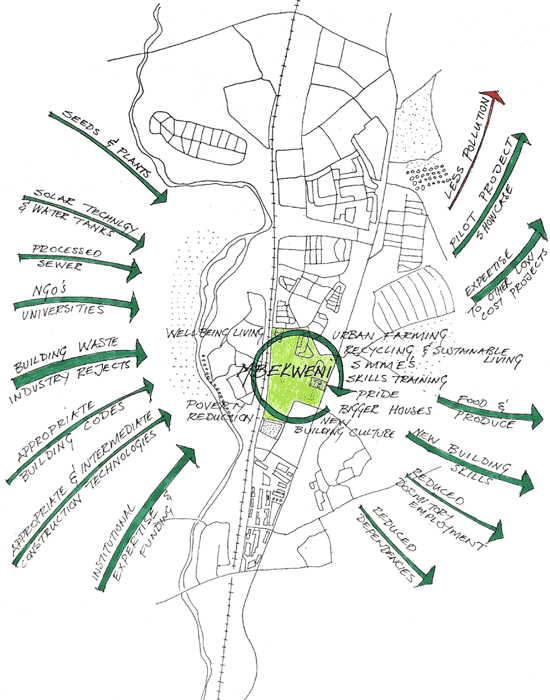 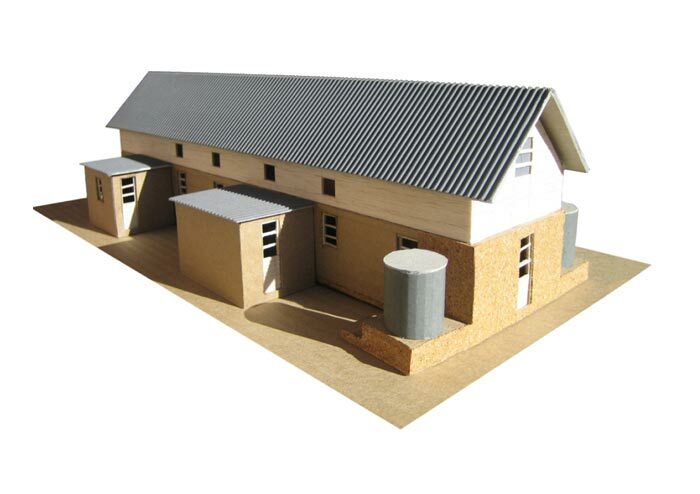 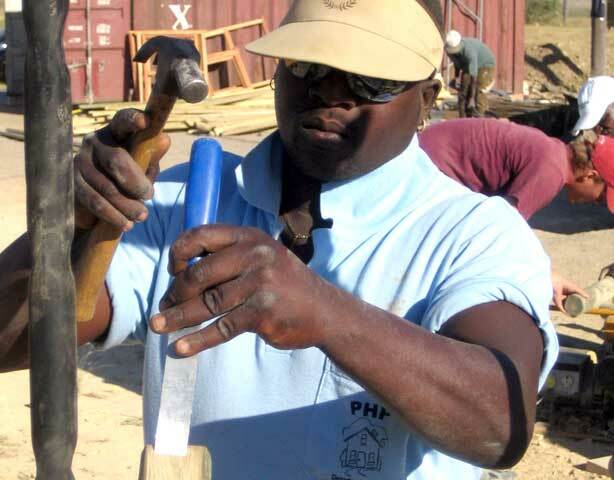 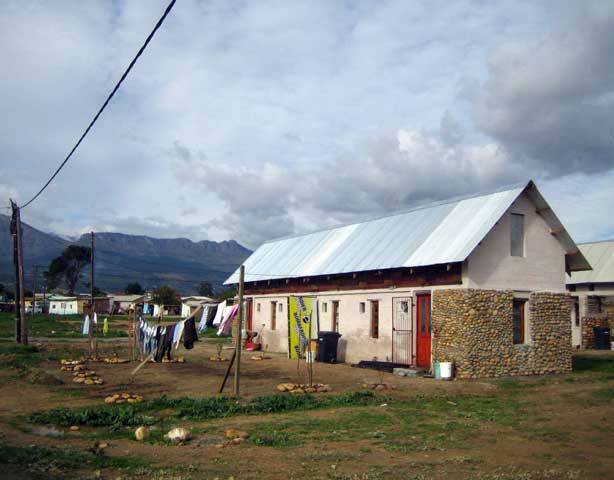 The public/private consultant project has provided an inclusive and sustainable development platform to demonstrate alternate ways of delivering low cost housing where both the unskilled and unemployed have a place to learn and earn. 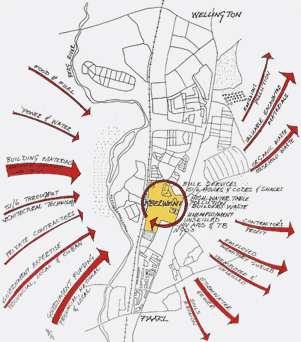 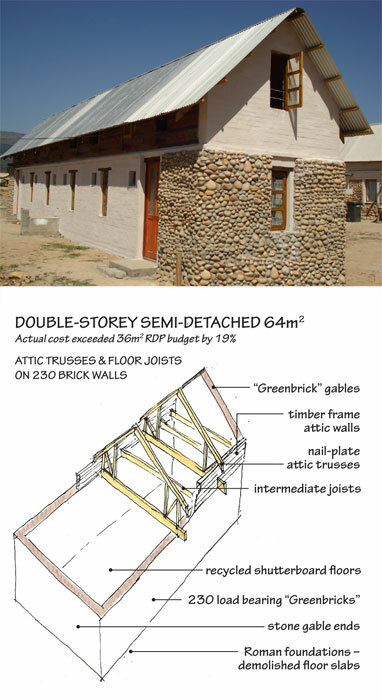 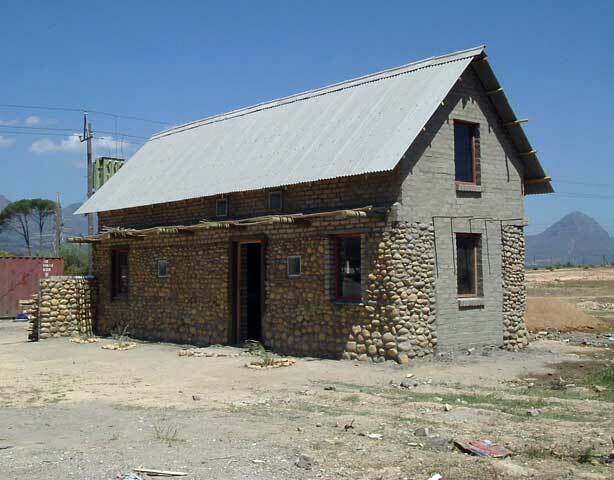 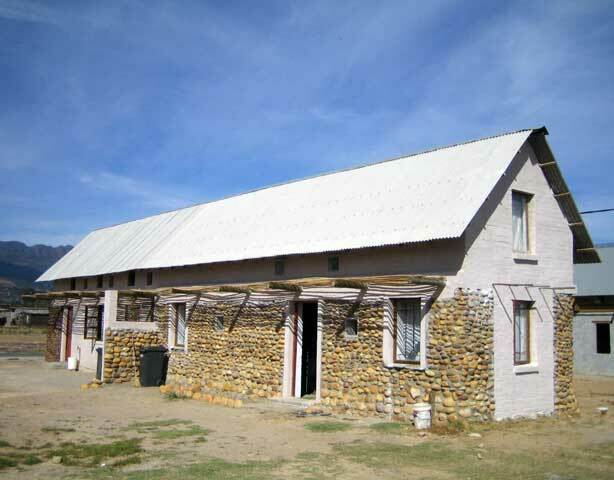 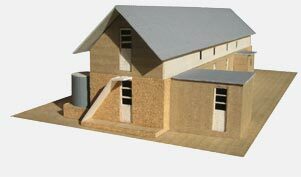 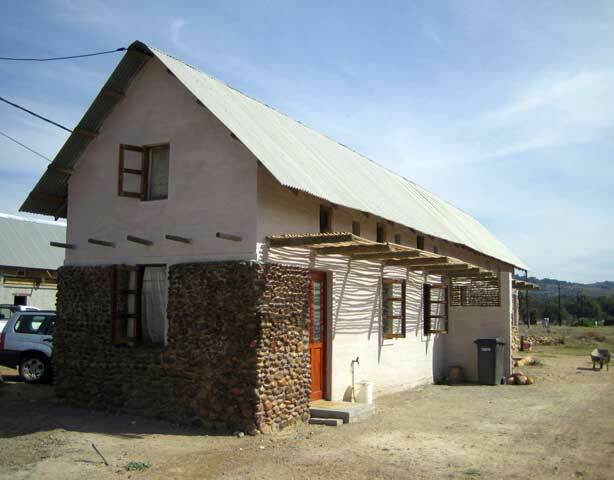 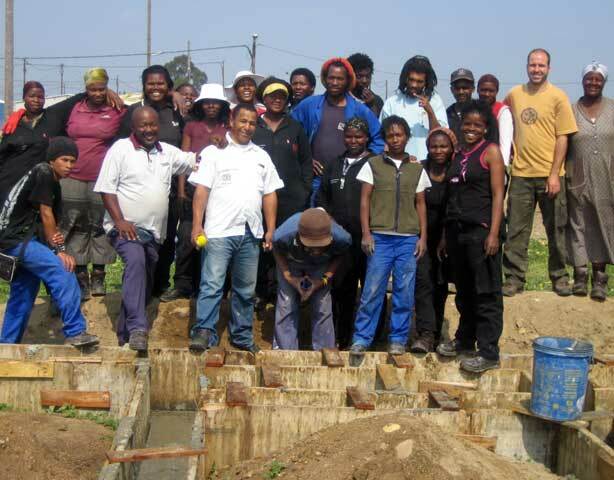 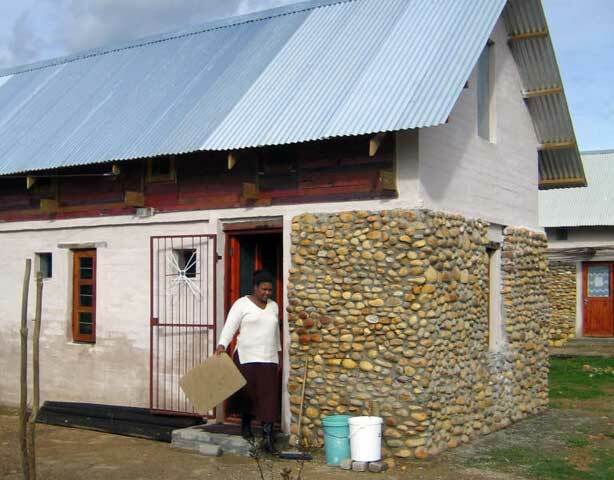 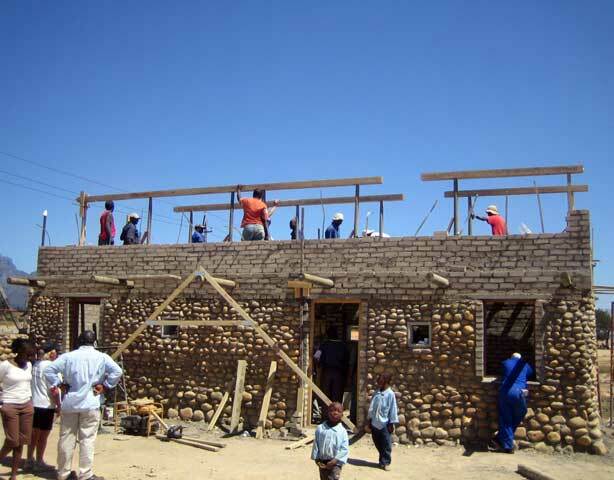 Construction of Stonehouse allowed the beneficiary and youth to transform industry waste into building materials, recovering bricks and other materials for reuse. 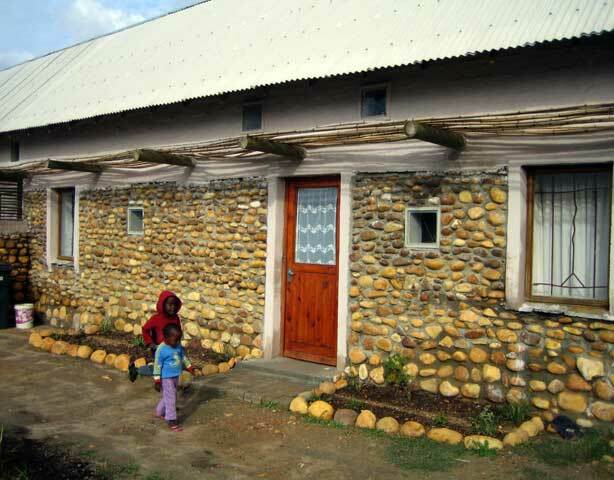 Stone resourced from site make up the external skin of the walls for the sun oriented rectangular plan. 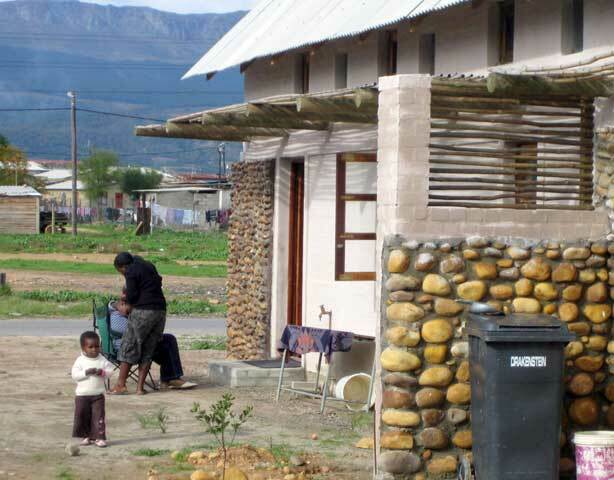 The internal skin is of recycled green bricks made from demolition waste. 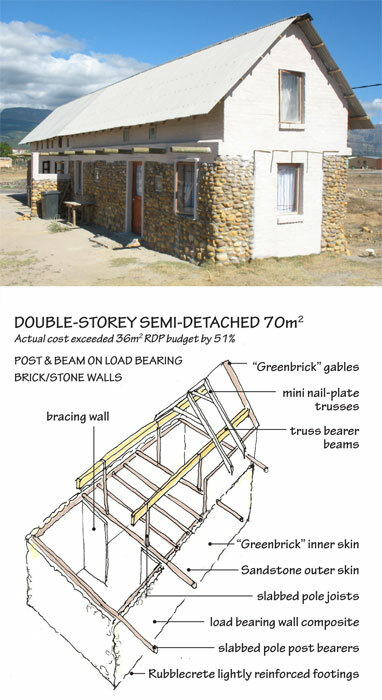 The long and narrow building is spanned with lightweight timber beams to create an additional loft floor and ‘bonus’ 30m2 rentable roof space. 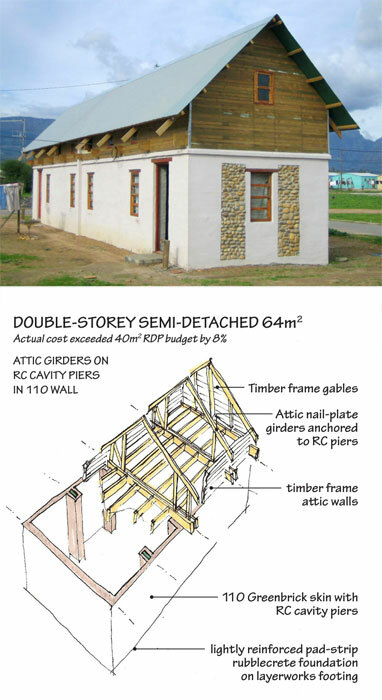 The upper structure, built of pine off-cuts, local poles and timber palettes, employs easily taught intermediate construction technologies, so designed that women were able to participate in the consruction. 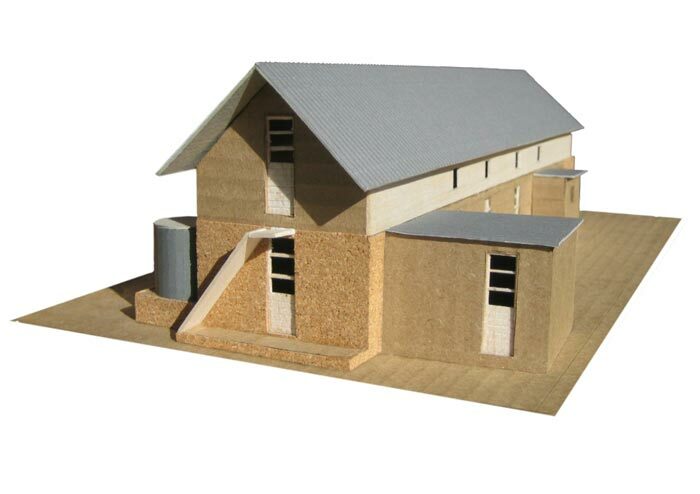 The heavy walls and roof insulation successfully keep out the oppressive summer heat. 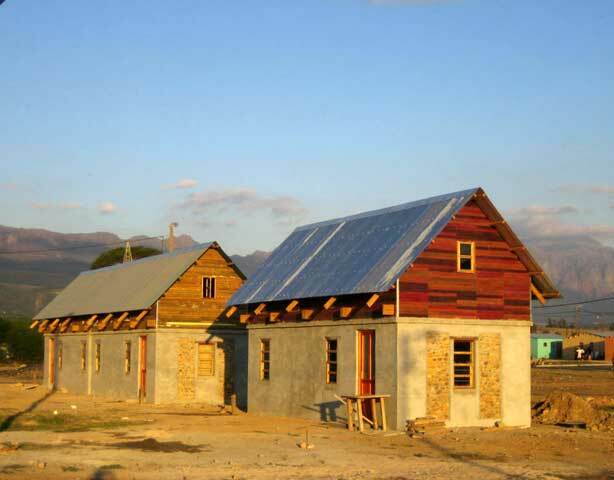 Most importantly, the construction cost remained within the government subsidy. 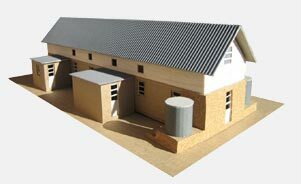 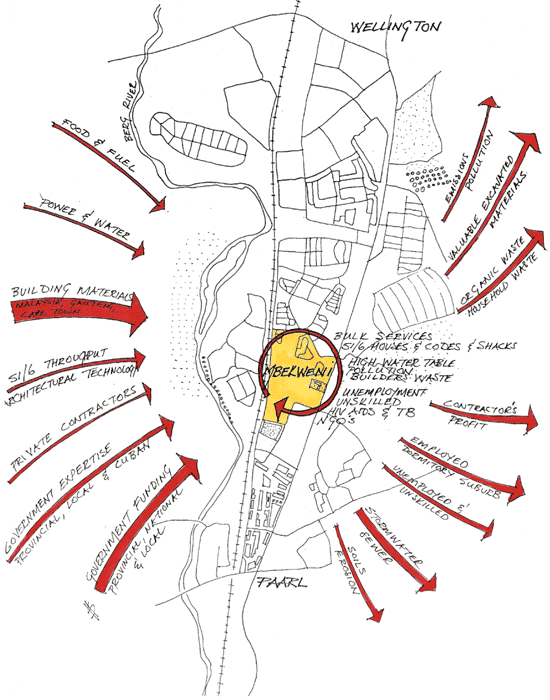 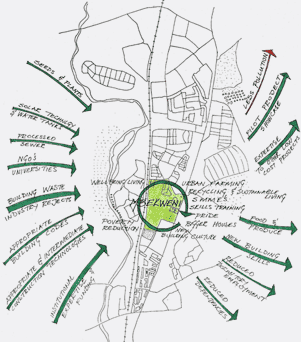 Rainwater tanks, solar water geysers, food gardens, vine sun-shading aim to provide food security, reduce living costs and add dignity to creating an asset for the owners.